In the Know: Professionals from Franklin Templeton Investments offer a brief but insightful update on a pressing investment topic. On Thursday, June 23, 2016, UK voters confounded expectations and the dire warnings of many politicians, business leaders and international non-governmental economic organisations by choosing to leave the European Union. Here, David Zahn, head of European Fixed Income, Franklin Templeton Fixed Income Group, shares his initial thoughts on how markets may respond, and the challenges and potential opportunities he sees ahead. The United Kingdom has voted to leave the European Union (EU). What do you think will be the immediate consequences? I think yesterday’s vote will create a noticeable increase in volatility in financial markets. Sterling will probably decline, and UK interest rates are now not likely to change for some time, as this decision could prove a big hit to investors’ confidence. Markets do not like the unknown, and a Brexit vote presents a huge amount of unknowns: not just questions about how this situation is going to play out, but even who is going to be dealing with it. Although it’s difficult when markets are in the midst of this sort of volatility, we think it’s important, from an investment perspective, to keep a long-term focus. We will be paying close attention to what the politicians are doing; that’s who the markets are likely going to take their cue from. Investors may want to consider taking this opportunity to think about setting up their portfolios for the long term. We think there may be some opportunities in the coming weeks and months from this upheaval because some otherwise attractive assets might be caught up in the melee. What will the implications be for international markets? In general, I consider this a risk-negative result. That means I would expect what investors consider to be “risky” assets such as equities and corporate bonds to underperform and for there to be a flight to quality to those perceived as less risky, most notably Gilts and Bunds. I would expect to see some ramifications on the weaker economies in the eurozone and wider EU, with peripheral European bond spreads likely widening, and I would expect the euro to go down—although likely not as much as the pound—as people question the future of the EU project. 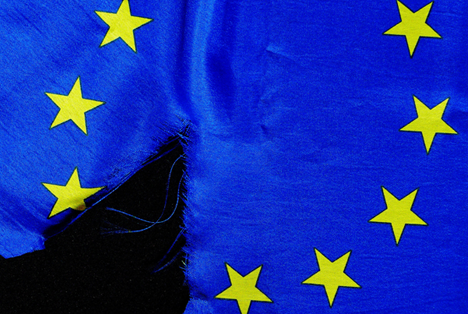 What does yesterday’s decision imply for the future of the EU and the eurozone? I think the question is how the EU will deal with this outcome. If the United Kingdom—the fifth-largest economy in the world—doesn’t want to remain in the EU, can we expect other member states to start asking questions about their continued membership? People are likely to question whether the EU will be able to continue to exist in its current form. Now that there’s a precedent that countries can leave the EU, all eyes will be on those other members where there has been a groundswell of discontent with EU membership. In economic terms, I think the European Central Bank (ECB) will want to maintain its easing policy in the eurozone, so if things get too volatile it may look to make adjustments (maybe just verbal adjustments), but also possibly change its purchase programme. What signs/indicators do you think investors should pay particular attention to as the situation unfolds in the coming weeks and months? The key element to watch, in my view, will be how the political landscape in the United Kingdom pans out. I would expect there to be some changes, as the ruling Conservative Party, whose Members of Parliament have been split on the EU membership question, looks to re-establish cohesion. The other big concern for the United Kingdom will be the reaction of the Scottish government. Some observers have speculated that if Scotland votes to stay in the EU and the United Kingdom votes to leave, Scotland would push for a second independence referendum. I think the situation is going to be very highly politically charged, and that always tends to make investors nervous. If there’s one thing financial markets dislike, it’s uncertainty. What potential consequences from yesterday’s decision do you think have been underappreciated by markets and commentators? I don’t think most people appreciate just how complex the process of exiting the EU is going to be for the United Kingdom. The number of agreements that need to be redone or initiated is massive and has been massively underestimated, in my view. The United Kingdom has not had to negotiate a bilateral trade agreement since 1976, so I think one has to question how fast it can be done. We’ve seen how long it can take. And it’s not just trade, there’s also movement of labour and important issues like flying planes: the EU has more than 60 different agreements around the world allowing planes from the EU to fly over and land in other territories. The United Kingdom has none. That shows the breadth of things that will have to be addressed. Of course, the countdown to the United Kingdom’s exit from the EU doesn’t start until the UK government makes its official request. There could be some rationale for not doing it immediately. There will have to be a lot of infrastructure lined up to begin the process. And there are big elections in Germany and France next year. As they will be two of the main partners with whom UK officials will have to negotiate the terms of a Brexit, the question is how interested will they be in negotiating when they have domestic elections under way. We also don’t know how amenable the EU is going to be to negotiations with a non-EU United Kingdom. I would expect the EU to make those negotiations pretty difficult. The last thing the EU wants to do is set a precedent that voting to leave the Union comes without pain—or consequences.